VATICAN - Fr. Justino Rezende at the end of the pre-Synodal Meeting for the Amazon: "May the Synod be the manifestation of God for us"
Rome (Agenzia Fides) - "Through this synod we have the important opportunity to innovate our current Church in the Amazon and to be in the midst of different peoples in a new way, with enthusiasm, commitment and dedication", this is what Father Justino Rezende, Salesian priest from the Tuyuca ethnic group says to Agenzia Fides, who is in Rome to attend the work for the Pre-Synod phase of the special Synod of Bishops of the Amazon Region which will take place in October 2019. 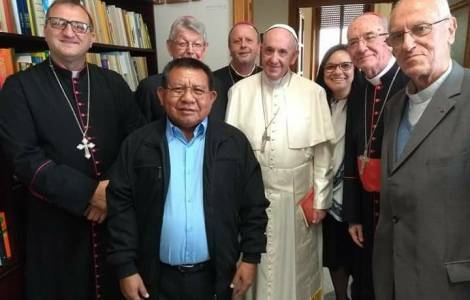 On 12 and 13 April, eighteen members of the Synodal Council and thirteen experts on the Amazon met. Pope Francis participated and presided in the launch of the meeting. Father Justino Rezende, in his presentation on Thursday 12, commenting on his joy of being one of the participants, of being before the Pope for the first time, and of the presence of the Church in the midst of his people, expressed his desire on behalf of the indigenous peoples to "give thanks to the many missionaries, priests, bishops who gave their lives for us, people of the Amazon and indigenous peoples. Some died to defend us and many of them acquired the indigenous face, learned the culture, language, traditions and today they are buried in the lands of mission". "Thanks to this missionary work - continues Fr. 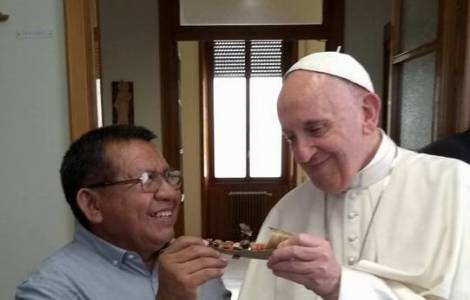 Justino, to Fides - many lay faithful involved in the Church, catechists, extraordinary ministers, religious and priests have emerged, and this is the face we must offer as a Church". The priest continues: "The Pope showed us with his presence, the calm with which we have to carry out these works. We must put the works in the hands of God". 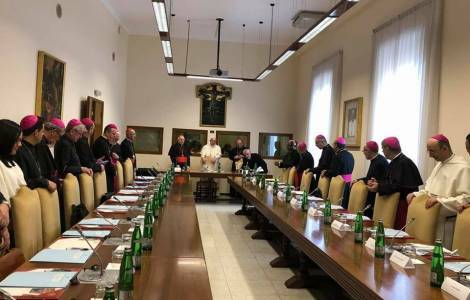 According to the religious, the Synod will be "a very important moment to see the ways of the church in our region and to propose new ways, keeping in mind our Christian life and our commitment in the defense of nature, our way of living the economy, sustainability, pastoral life ... ". Furthermore, Fr. 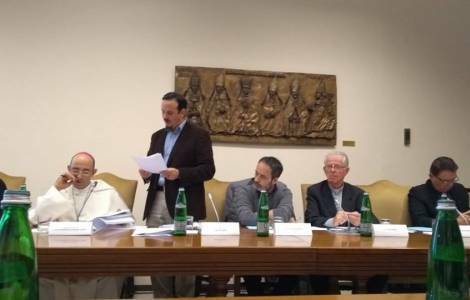 Justino explains that the practices of Christian life that already exist in the communities "will be shared as a contribution so that the Synod can be the manifestation of God for us". Finally, the priest also recalled that "the Holy Spirit will move the hearts so that one can discern the paths the church in the Amazon must walk". For his part, Mauricio Lopez, executive secretary of the Pan-Amazon Ecclesial Network (REPAM) and world president of the community of Christian life, as well as a member of the pre-synodal council, in a conversation with Fides commented that "the presence of Bishop missionaries who live and work in the Amazon has brought a breath of life and fresh air, because they are the testimony of their experience, because they are incarnated in that reality and because they listen to the communities every day". Then, speaking of the presence of the Pope with them during these two days, he said: "He enlightened us: it was a silent presence", because, according to Lopez, the Holy Father commented that "it is part of the process to listen and understand how the process is being established in order to be able to accompany it correctly". As executive secretary of Repam, Lopez says that being part of the whole process from the beginning is an "enormous joy, which confronts us with a great challenge", that of doing "all the consultations to reach the territories and the life of the people of the Amazon and that the life and those territories can communicate with the church that wants to listen to them, to propose new ways".